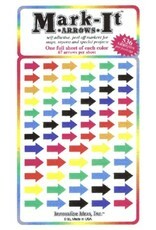 Self adhesive, peel-off, arrow shaped stickers printed on high quality coated stock. 8 colors: Pink, red, orange, yellow, green, blue, black. purple. 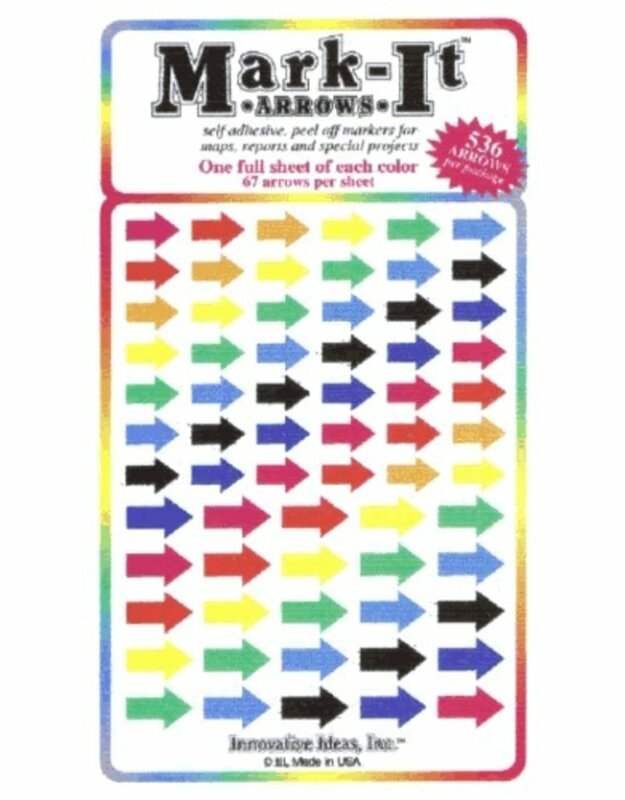 In each color: 42- 3/8 inch arrows and 25- 1/2 inch arrows. Total 536 arrows per package.